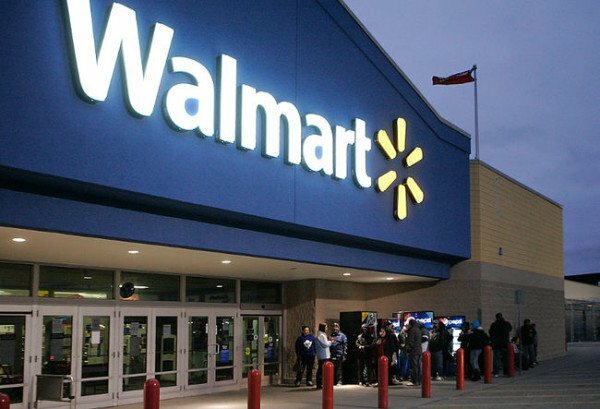 Wal-Mart shares fell 10% in afternoon trading after the company warns earnings will be below forecasts. The stores giant warned the strong dollar would leave profits $15 billion under target. Elsewhere shares on Wall Street were slightly ahead at open, as the company earnings season begins. Not long after open the Dow Jones stood at 17,103.40, up 21.51 points, or 0.13%. The NASDAQ index gained 3.90 points, or 0.08%, to 4800.51 points. The S&P 500 gained 1.35 points, or 0.07%, to 2,005.04 points. Meanwhile, the US Department of Commerce reported US retail sales for September were up by just 0.1% from August. Among the Dow Jones winners was Bank of America, up by 2.14% after reporting a quarterly profit of $4.1 billion. Other winners included Eli Lilly, Newmont Mining, Peabody Energy and Delta Airlines. Among the losers was JP Morgan Chase, behind by 2.07% after profit missed analyst expectations. Wells Fargo also fell 1.9% after reporting results.